The European Union (EU) considers the “dual career” (i.e., the comination of sport and academic commitments) of elite athletes as a priority and recommends Member States to respond to the needs of this population (http://www.europarl.europa.eu/RegData/etudes/STUD/2016/573416/IPOL_STU(2016)573416_EN.pdf). However, only a limited number of Universities, National Sports Federations, and Sports Associations adopted appropriate measures in line with the European guidelines (http://www.scuoladellosport.coni.it/images/sds/Linee_Guida_EU_Doppia_Carriera.pdf) and the minimum quality requirements for dual career services (http://www.sportknowhowxl.nl/files/2016/DualCareer.pdf). To facilitate the recognition of student-athletes, to improve knowledge and to disseminate good practices of dual career, in 2004 the European Athlete as Student (EAS, http://www.dualcareer.eu) network has been established and currently acts as a stakeholder of the European Parliament, the European Commission and the Council of Europe (http://www.kinsi.si/clanki.php?id=284). In particular, EAS intends to develop European projects and disseminate scientific research on dual careers (http://www.kinsi.si/clanki.php?id=286) by encouraging the participation of its Members in partnerships within the Erasmus + Sport program (http://ec.europa.eu/programmes/erasmus-plus/calls/eac-a03-2016-sport-2017_en ) and the Bengt Nybelius scholarship for researchers under the age of 40 (EAS_C4P_Bengt-Nybelius-Scholarship), respectively. disseminate information collected through EU funded projects. Institutions who are challenged by the Dual Career of their pupils/students are invited to be a member of EAS to foster the process of dual career in Europe. Furthermore, EAS would be pleased if that invitation could be forward /shared to other stakeholders (e.g., Universities, High Schools, National Sports Federations, Sports Associations) in countries of those recognizing it. The membership to the EAS is institutional, requests an annual membership fee of just € 150 and can be posted on the EAS website: http://www.dualcareer.eu/membership/. 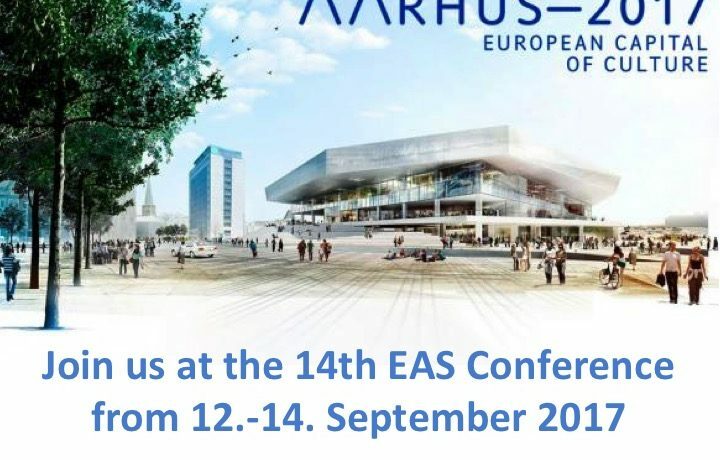 We hereby like to invite interested experts and those who want to become experts to participate in the XIV Annual Conference of the EAS to be held in Aarhus, Denmark from September 12 to 14, 2017 during the Sport Summit 2017 organized by the University of Aarhus in collaboration with ENSE, SNE and ICCE (https://kongresk.eventsair.com/ense/registration/Site/Register). We do hope, that you will be proactive in implementing dual career of student-athletes in your countries, EAS will be available for further information and support. On June 7, 2017 EAS participated to the final meeting of the Erasmus + ESTPORT project held at UCAM University in Murcia, Spain. The UCAM – ES coordinated the ESTport project aimed at developing an innovative tutorship for the dual career of student-sthletes, in partnership with the University of Malta – MT, The University of Thessaly – GR, The University of Rome Foro Italico – IT, The Trinity College of the Leeds University – UK, and the University Europa Community Ltd. 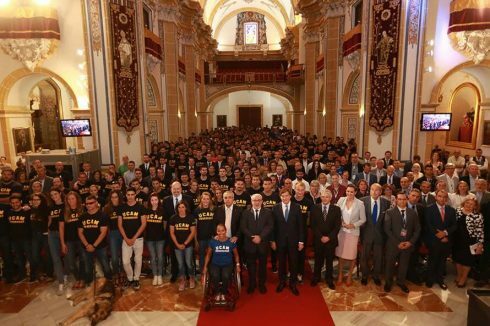 The President of the UCAM, Dr. Josè Luis Mendoza Prez, and the coordinator of the project, Dr. Antonio Sanchez Pato, opened the final event, which was attended by the Secretary of State for Sport Spanish Government, the President of the Spanish Olympic Committee and the Olympic athletes enrolled at UCAM. In addition to the dissemination of the projects results, the event included also roundtables with the student-athletes on their real experiences, with the ESTport members on the future lines of work, with the European stakeholders on the future of dual career in Europe. In particular, with Agata Dziarnowska – European Commission, Claudia Bokel – ADECCO, Rossana Ciuffetti – School of Sports of the Italian Olympic Committee, Miguel Torregrosa Alvarez – the University of Barcelona, and Sergio Lopez- Andujac – PROAD-CSD, the President of EAS, Laura Capranica, discussed the improvements of the dual career of student-athletes in the last decade, the life of a high performance athlete who wants to study at the university, the barriers to develop the dual-career political framework, and the dual career roadmap from different perspectives. The project results are reported in the handbook “An Innovative European Sports Tutorship Model of the Dual Career of Student-Athletes”, Edited by Sánchez Pato A., Isidori E., Calderón A., and Brunton J.
Bengt Nybelius, the founder of the European Athlete as Student Network (EAS), was a brilliant mind, who settled the objectives and the structure of the organisation in 2004. Please see the added paper: EAS_C4P_Bengt-Nybelius-Scholarship.